Learn how to turn ropes into a rug and 20 more cheap and easy DIY home decor ideas. All of these can be completed in less than a day! 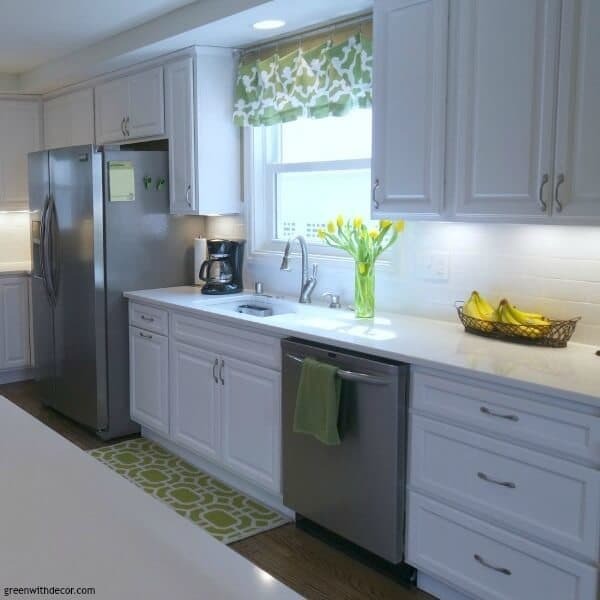 Need some new ideas to freshen up your home? 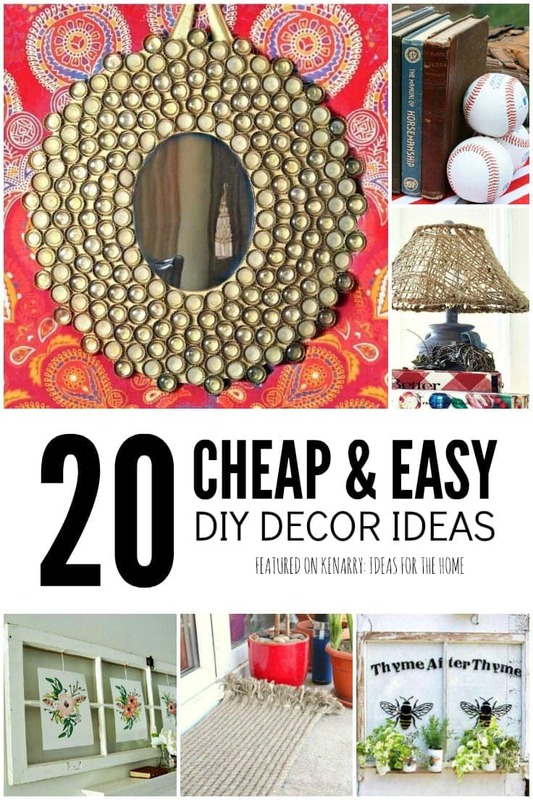 Try any one of these cheap and easy DIY home decor ideas. Don’t you just love a fun DIY project? It’s even more enjoyable when you create something that you can display in your home. 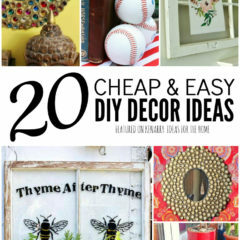 When you need a little inspiration, try out any one of these 20 ideas. They run from the really creative (a picture frame from an old window) to the truly simple (soap dish out of popsicle sticks). All of them are easy enough for beginner crafters too. All of these ideas were submitted by Kenarry readers and are shared with their permission. These farmhouse-style indoor shutters look perfect in a country-style kitchen. 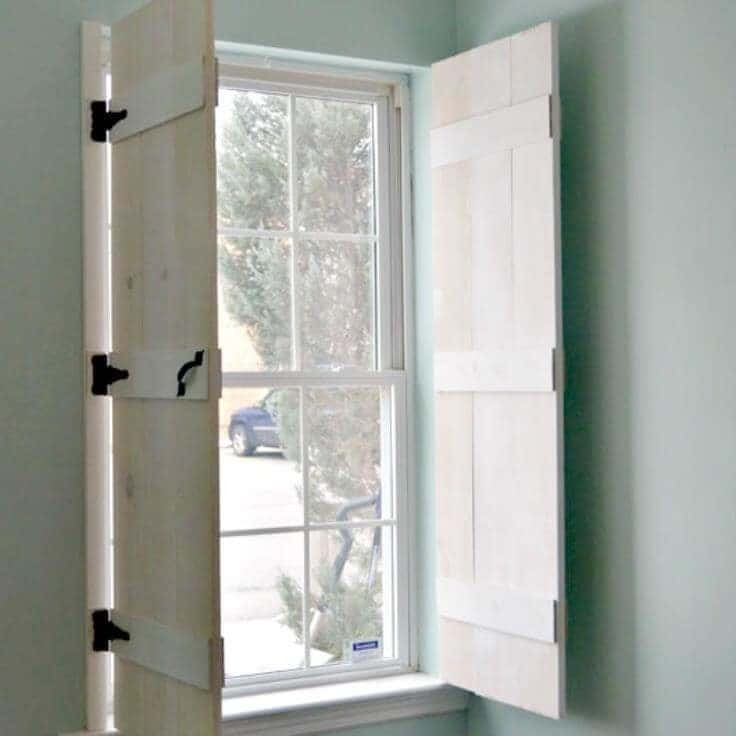 If you’re looking for an alternative to curtains and love the look of shutters, just look at how easy they are to make. Dress up your entryway with a pretty, durable and affordable DIY rug. 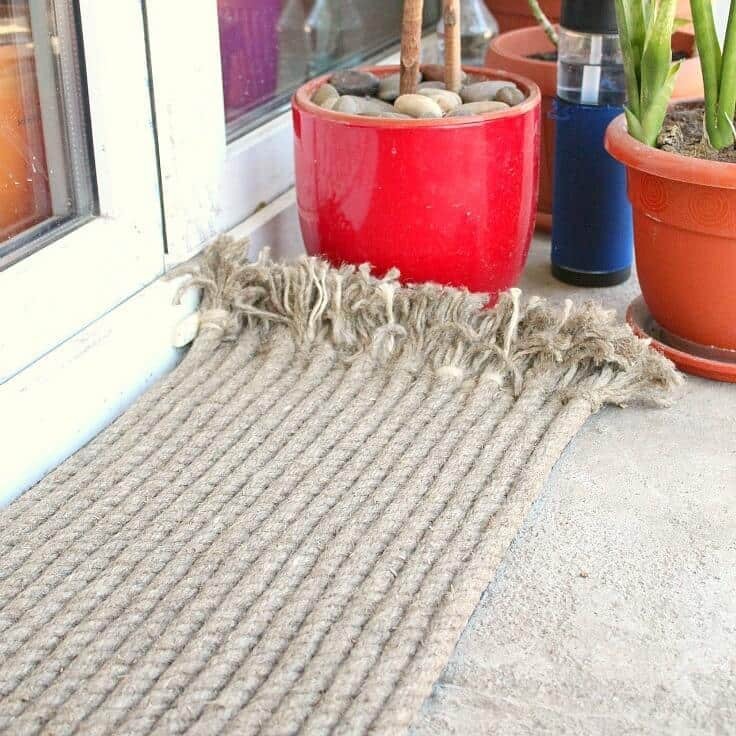 Here’s how to make a rug with rope to give your home a rustic touch! Create something your furniture can sit on. 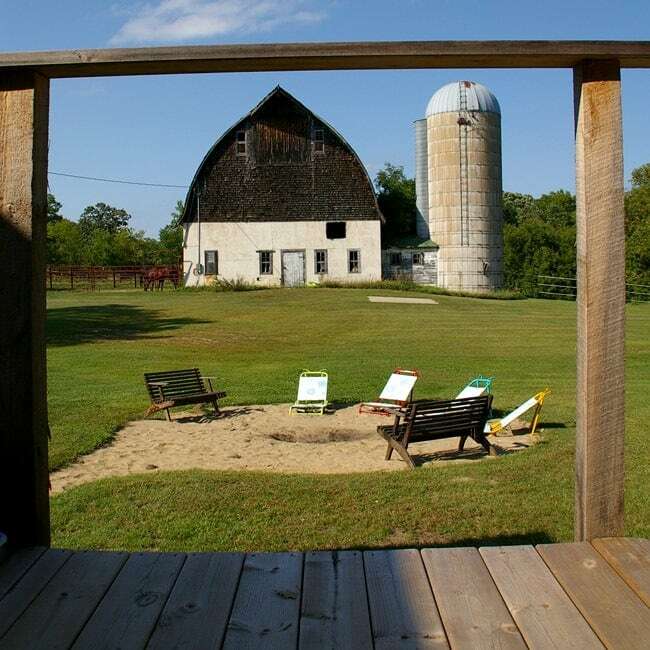 This fire pit is extra safe, too. You don’t have to worry about it still smoldering a little bit at the end of the night. 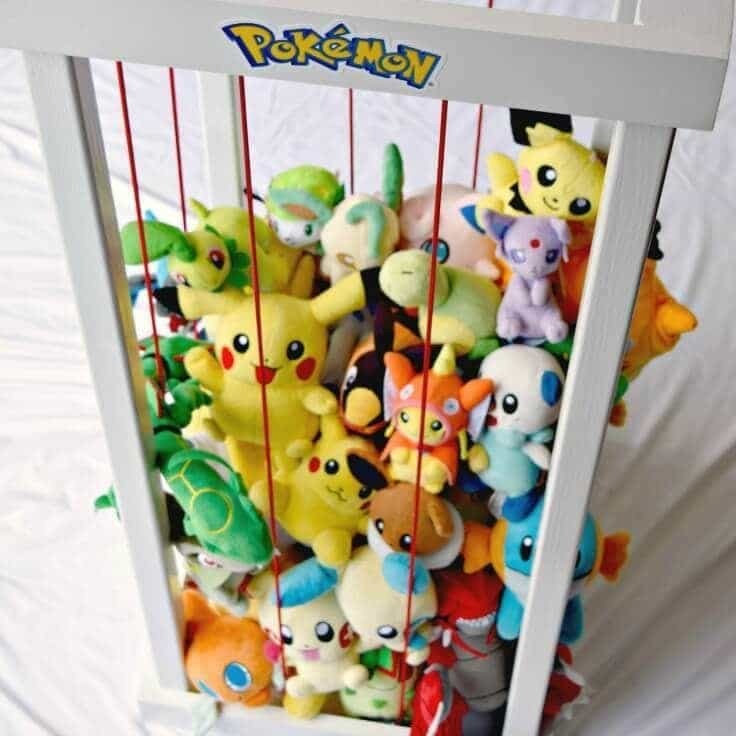 Do you have a Pokemon master at your house? Or maybe stuffed animals are taking over and making it feel like a zoo in your living room? This simple DIY project can help corral all those fuzzy friends, yet keep them easily accessible for your kids. Is your patio furniture worn out and tired? 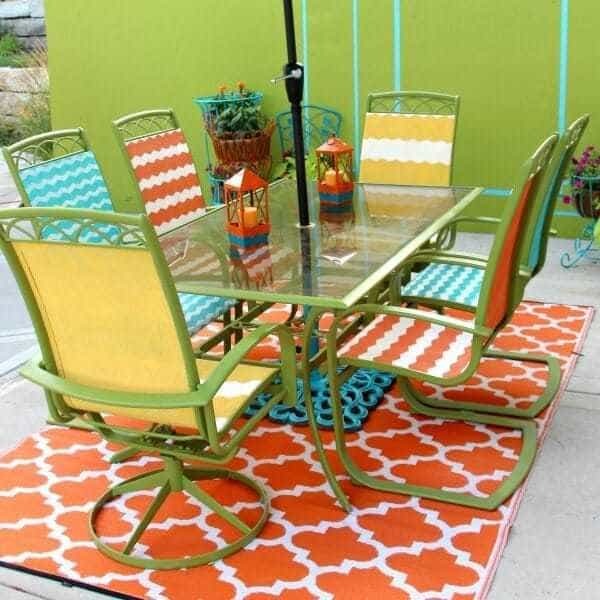 Update your old patio set back into the set you first fell in love with. Take it from drab to fab with this easy to follow tutorial! Put a pop of color above your windows. Follow this tutorial and you’ll have a beautiful valance, out of a shower curtain. Finally get your soap off your sink. 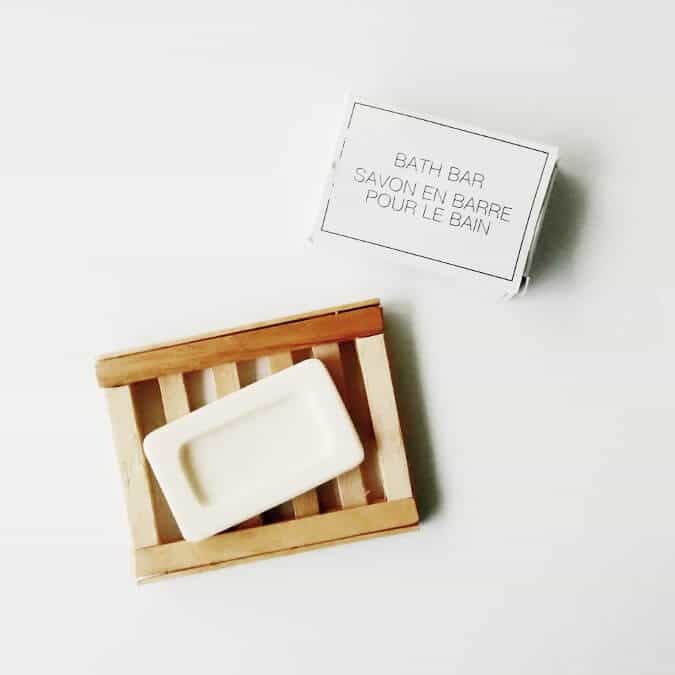 Make a soap dish out of supplies you can buy at the dollar store. Use recycled bottle caps and floral glass marbles to make a stunning boho style mirror! 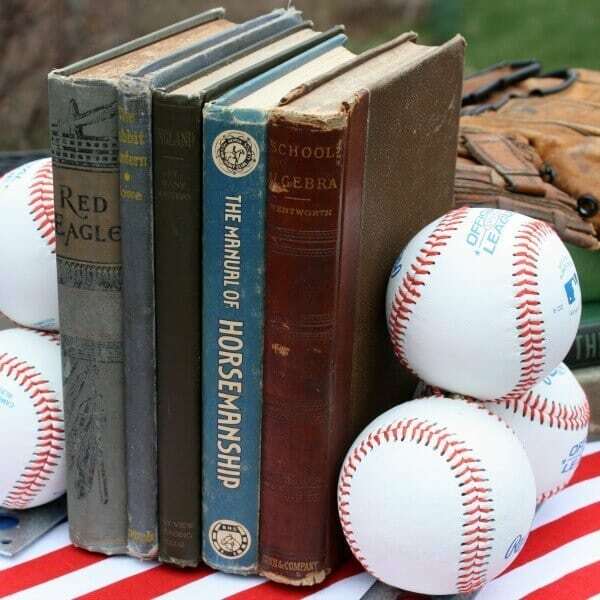 DIY Baseball Bookends are a perfect addition to a baseball-lovers home. Get the full tutorial to make your own set at Sweet Pea. Mason jars make some of the most beautiful and rustic lights. 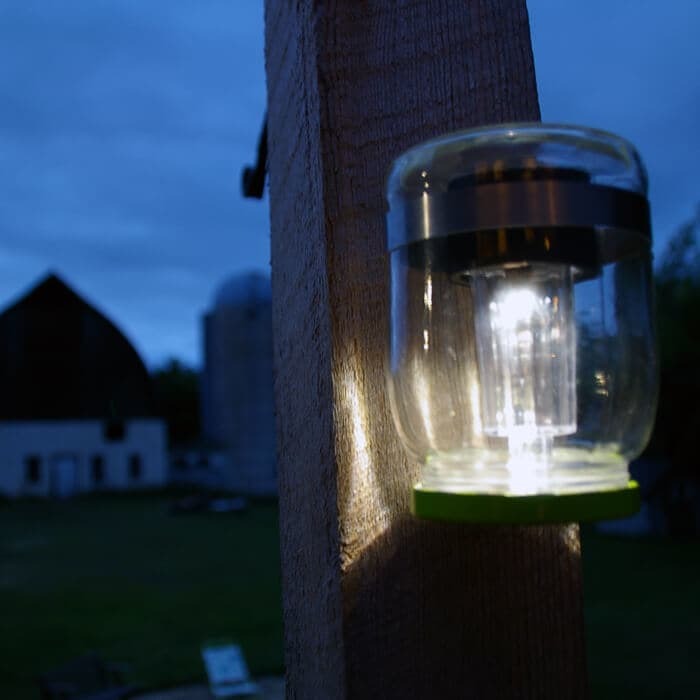 Learn how to make solar-powered lights for your outdoor space. 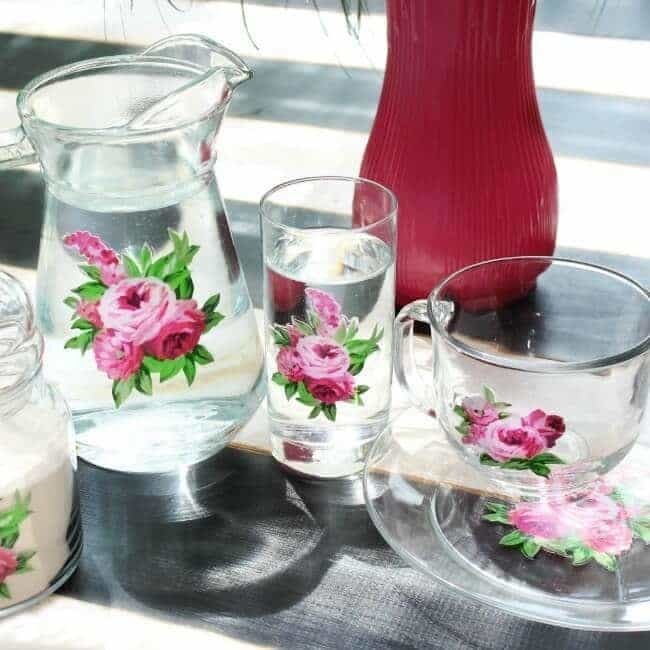 Turn mismatched dishes into a beautiful set of vintage floral glassware straight out of the 1940s. With printed images from your home copy machine and this easy technique, you can turn $5 worth of thrift store glassware into an amazing table setting. 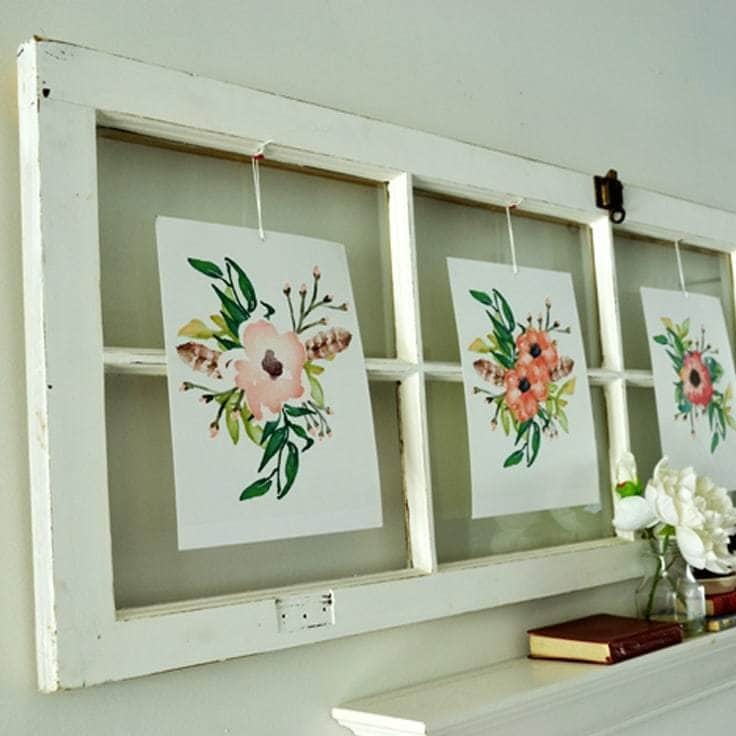 Learn how to create a simple and cheap picture collage out of an old window for a vintage look! It’s a great way to display wedding photos, floral printables or other favorite pictures of your family. 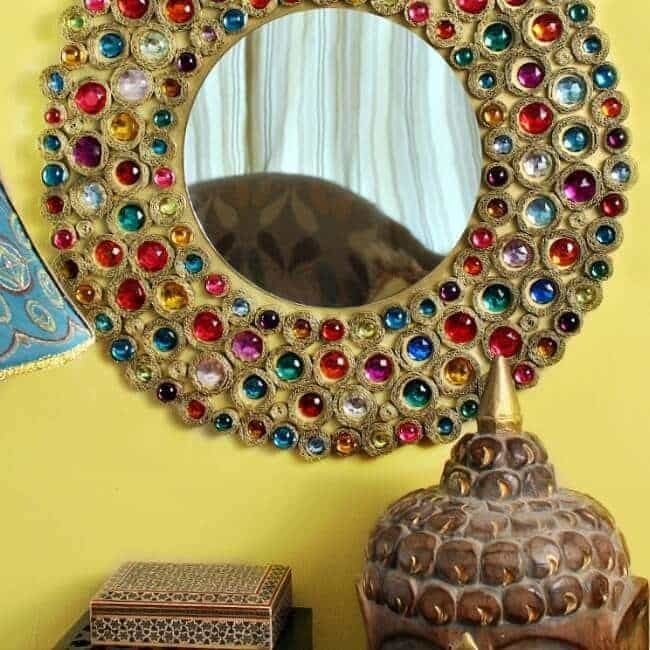 Make your home sparkle with a beautiful bejeweled boho mirror made with cardboard and gems! 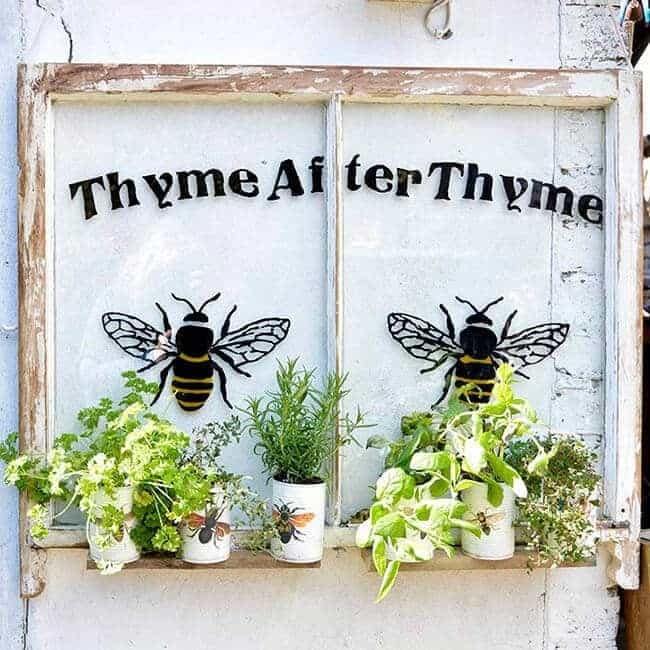 Turn a discarded old window into a gorgeous garden feature by turning it into an upcycled window herb planter, complete with cheesy song pun. Not only does the upcycled window herb planter looks fantastic in a garden but it’s really practical. The herbs are in portable upcycled tin can planters, that can be easily taken into the kitchen when needed. Curtains are a fantastic way to give any room new life. But curtains aren’t cheap, especially when you have wide windows. 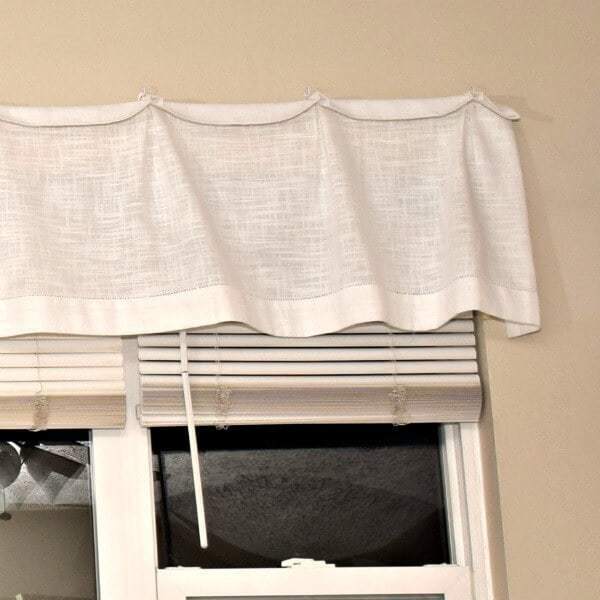 These simple valances however, cost less than $20 and are incredibly easy to create! No sewing required. 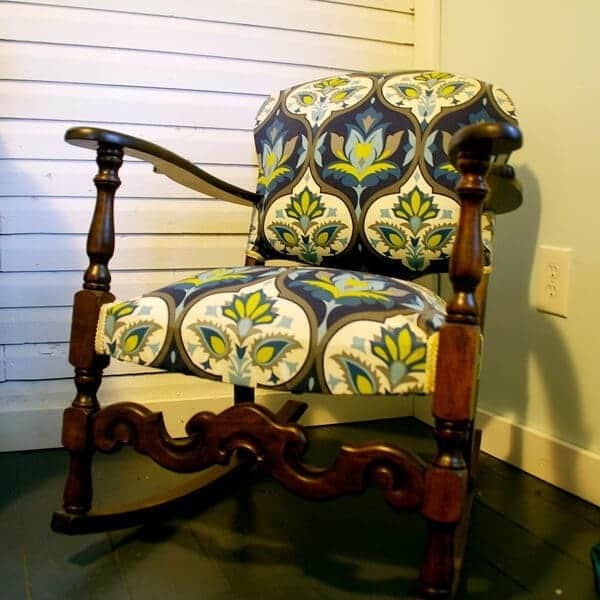 Easily update an old family heirloom with new fabric that matches your decor. Just follow this step-by-step tutorial. 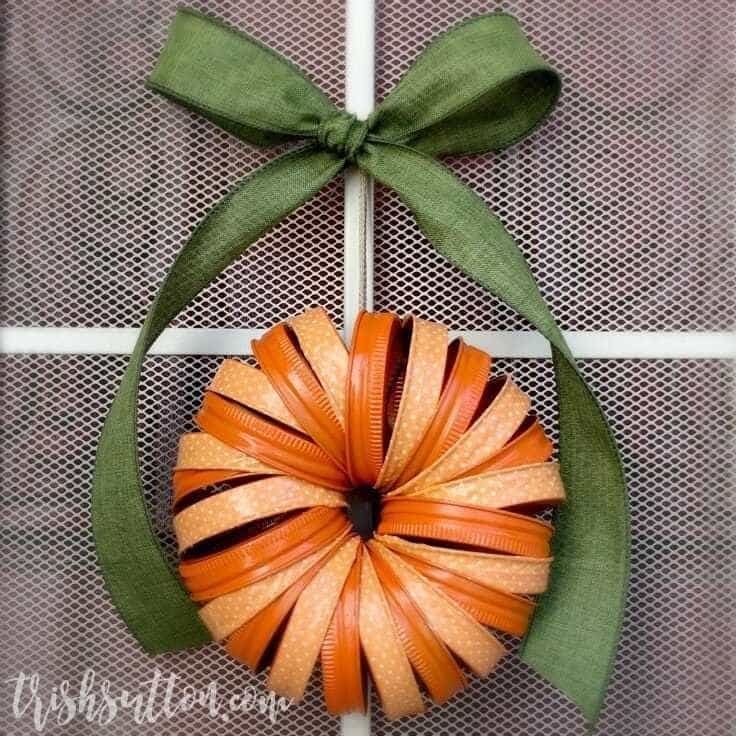 This wreath was created with mason jar rings and spray paint. It’s perfect for anyone that wants to go for a rustic or industrial feel in their home. 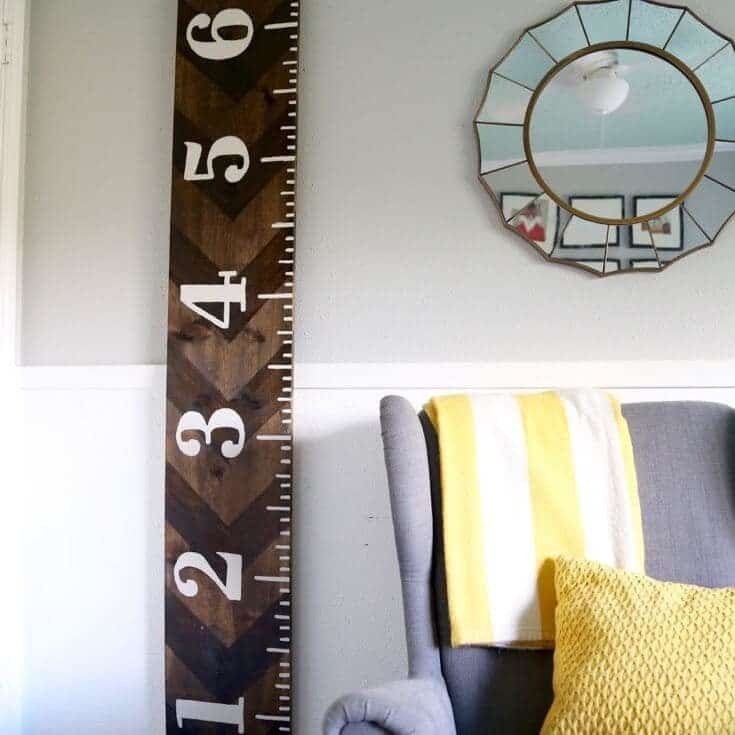 This DIY growth chart is simple to make and incredibly affordable, and it’s gorgeous too! This is a perfect solution if you want to track how quickly your little ones are growing but don’t want to mark up your walls – plus you can bring it with you if you move! 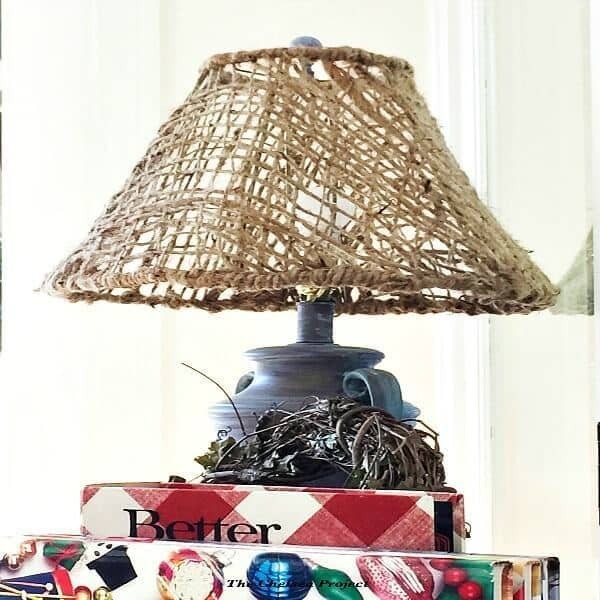 Use your favorite fabrics to create no sew pleated lampshades to match every room! A woven jute fabric that is normally used to prevent soil erosion was attached to an upcycled lampshade frame. It may be the first biodegradable lampshade in history. 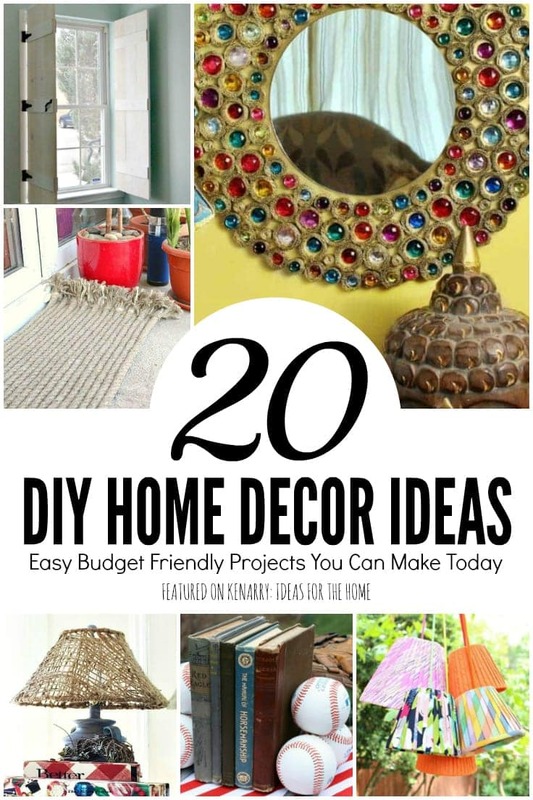 If you still want more home decor ideas, check out a few of these! Annie grew up in a small town in Kansas with a passion for writing and a hunger to experience the world "beyond the rainbow." Today, she lives in West Virginia with her husband and their blended family of 7 children. Together, they have a West Virginia food and travel blog called Venture1105. Follow Annie on Facebook and Instagram. 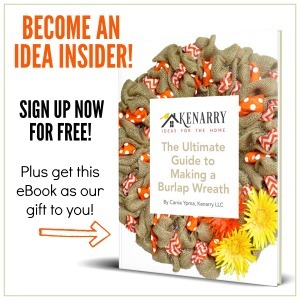 Annie has been working with Ideas for the Home by Kenarry™ since July 2018.